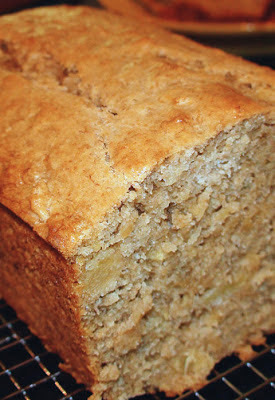 I’ve made many kinds of banana bread recipes, but this remains my absolute favorite. If you’re looking for a very moist, dense cake with loads of bananas… this is your recipe. Add some extra tropical flavors like pineapple, cream of coconut and macadamia nuts and you’ll be in heaven!